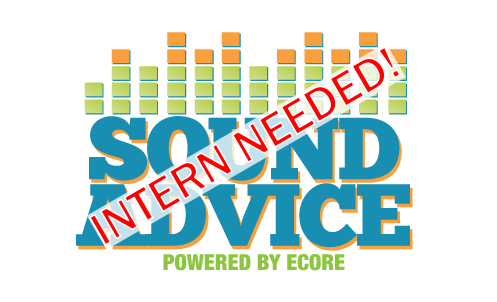 Sound Advice / We’re Looking for an Intern! It’s a little late in the season, but we’re looking for a detail-oriented intern to help us out for the Summer. Duties will primarily include data entry, but we promise to make it as fun as possible and totally worth your time! Take a look at the PDF for the job description below, and send an email to sharon.paley@ecoreintl.com if you’re interested!